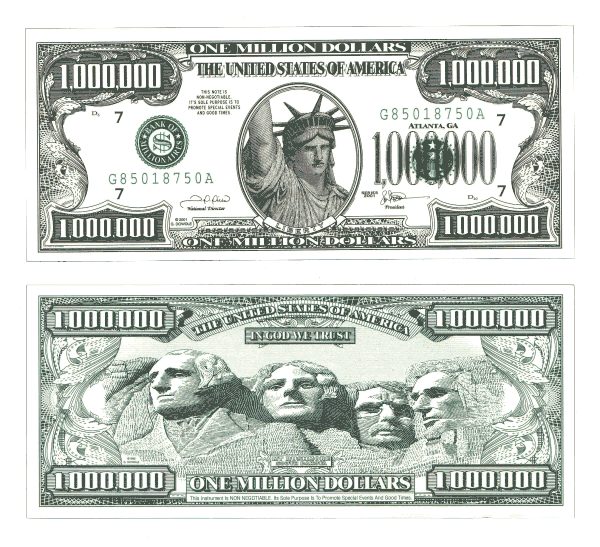 This is a take on the famous “dollar bill” letter. The letter Gary Halbert says he never saw fail in a B-to-B mailing. My (Keith Lee) original dollar bill letter is in Dan Kennedy’s Magnetic Marketing. 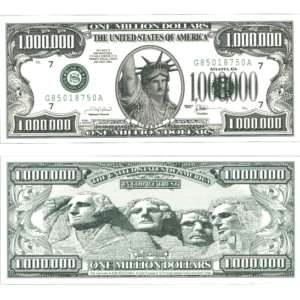 When we replaced the dollar bill with this million dollar bill, our ROI increased. Simply staple the bill to the top of your letter and send in the mail! For the complete sample of this letter, be sure to ask us about our FREE “How to Skyrocket Your Sales With 3D Mail and Premiums (Give Aways) System.” Just call us at 1-888-250-1834.